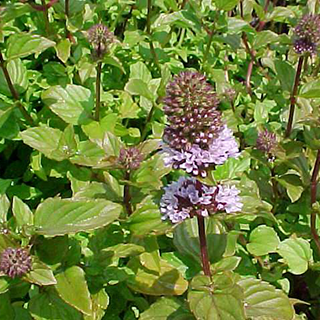 Eau De Cologne belongs to the mint family and the foliage can be used as you would mint for making a mint sauce. The thought of mint sauce smelling of eau de Cologne does not appeal to ones palate but the scent changes prepared in this way and likewise a sprig placed with potatoes when cooking imparts a distinct flavour that some find most palatable. Herbal tea can be made from fresh or dried leaves. Use 1 teaspoon per cup for dried leaves or 3-4 fresh leaves per cup for fresh leaves and infuse for 5 minutes for everyday drinking. Sow seeds in spring in a cold frame. Germination is usually fairly quick. Prick out the seedlings into individual pots when they are large enough to handle and plant them out in the summer. Cut aerial parts before flowering.